2 x Compatible for Apple iWatch 42mm full coverage and adhesive on the whole screen protector. 2 x Dust Removal Stickers. ?Full coverage, full adhesive glue give you watch best protection. ?9H Hardness: The military-grade tempered glass is ultra-thin (0.33mm) but tough enough. 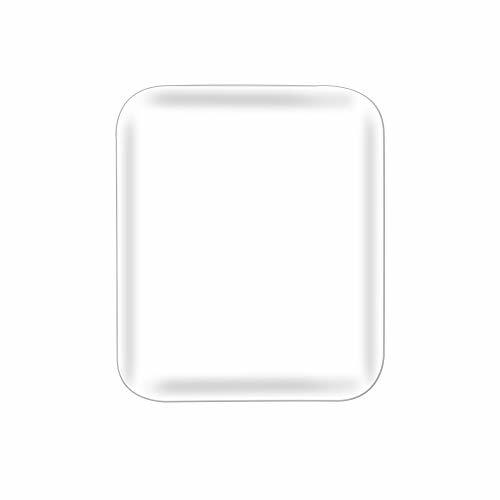 ?Anti-Fingerprint: The HD clear and smooth surface makes your iWatch always looks new. ?Sensitive Response: Maintains the original touch sensitivity when touch and slide with fingers. ?Bubble-Free: Comes with all accessories you need, easy to install and drive away the bubbles. 4.Prepare the tempered protector for good position and stick it on the watch surface. Then, apply the tempered protector to the watch surface slowly from the bottom to the top and press the extrusion bubble (if the bubble is not extruded, slowly lift it to the edge of the bubble and then extrude the bubble from the inside to the outside). 5.Press gently around the edges of the tempered film to make it fully fit on the watch surface. We provide warranties for our products. If for any reason you are not satisfied with any product by Fotbor, please do not hesitate to contact us, we will do our best to resolve your issue quickly and efficiently!
? [perfectly Designed]: 2 Pcs glass screen protector with full adhesive glue cover the whole screen, not easy to fall off , compatible with Apple Watch 42mm series 3/2/1. ? 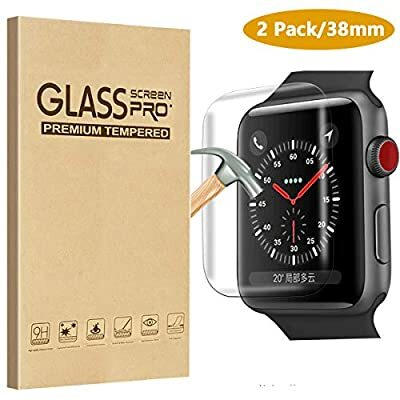 [Anti-Scratch]: With strong 9H hardness level, the whole glass screen covers full screen protects your Apple watch from drops, bumps, scratches and daily wear and tear. ? [High Transparency]: Hydrophobic and oleophobic screen coating helps blocking out fingerprints, bubbles, dust and oil, makes your screen looks just like the new. ? 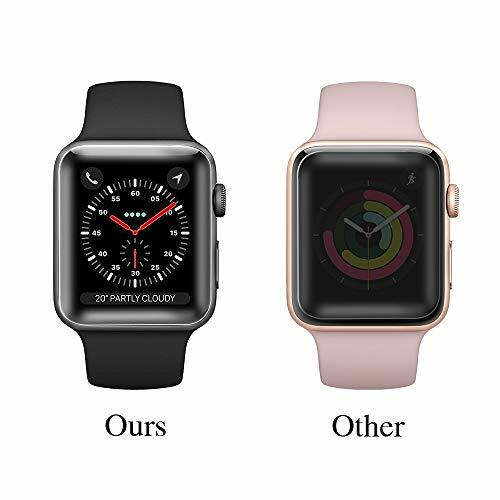 [Sensitive Touch]: for the Apple watch screen protector is strong enough to protect but promises not to affect the flexibility , just like use the bare one. ? [Service & Warranty]: If you have any questions about our products, please contact us, our teen will try our best to solve it.